What do you do with the broken ones? I generally transfer my glucose tabs to the smaller tube, but it’s hardly worth the dusty mess. Posted on January 8, 2014, in Wordless Wednesday and tagged annoyances, glucose tablets, hypo. Bookmark the permalink. 1 Comment. 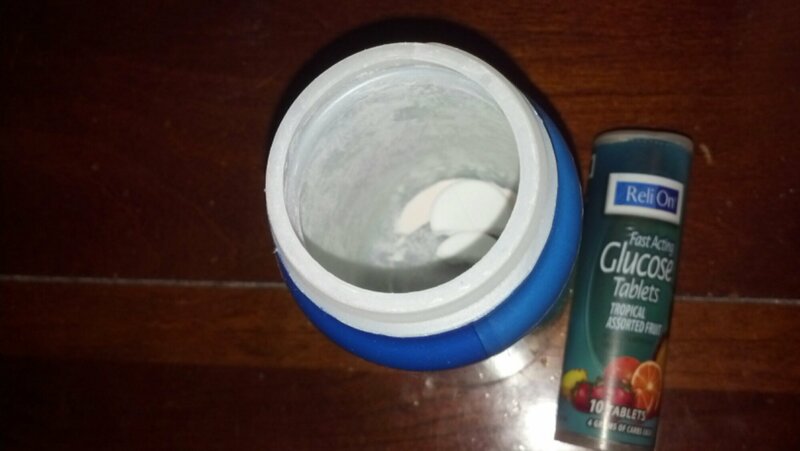 I hate eating glucose tabs so much – they are my last resort anyway – so I rarely have an empty bottle/remnants left. If I do, it just gets chucked in the trash. Bleck. I keep them everywhere – in my purse, in my car, at my desk, etc, but if there is anything at all with sugar in it around OTHER than glucose tabs when I need to treat a low…. the other is what I am eating.